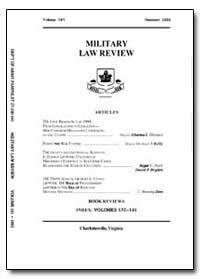 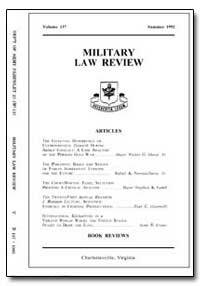 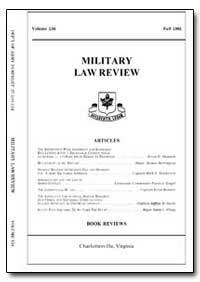 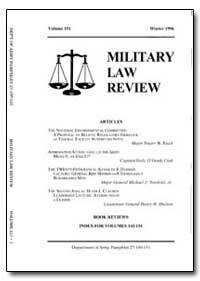 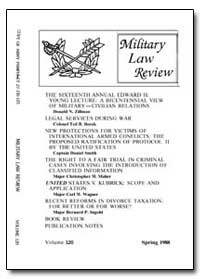 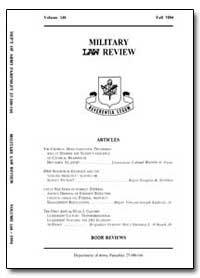 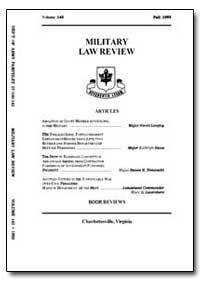 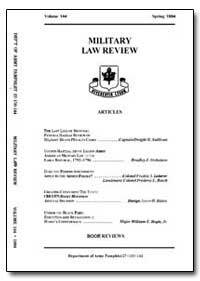 Excerpt: The Military Law Review has been published quarterly at The Judge Advocate General?s School, U.S. Army, Charlottesville, Virginia, since 1958. 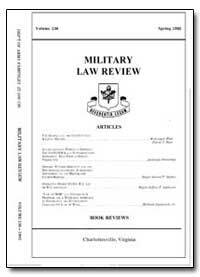 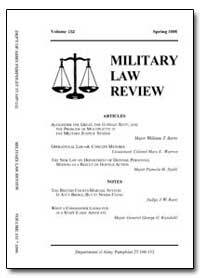 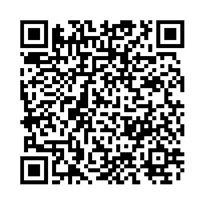 The Review provides a forum for those interested in military law to share the products of their experience and research and is designed for use by military attorneys in connection with their official duties. 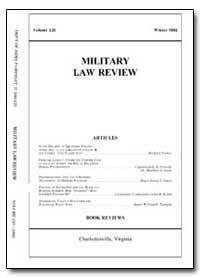 Writings offered for publication should be of direct concern and import in this area of scholarship, and preference will be given to those writings having lasting value as reference material for the military lawyer. 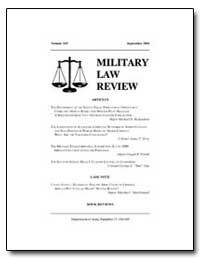 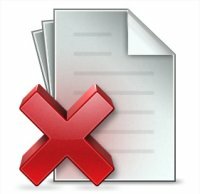 The Review encourages frank discussion of relevant legislative, administrative, and judicial developments.